It’s mid October, and cold and darkness are sweeping into the city. That means it’s time for warmer jackets but also the Toronto After Dark film festival. TAD the best of the fests if you are a horror, SciFi or genre film fan. Offering a little something for everyone, TAD celebrates its 10th anniversary this year, with 9 more nights of goofy, gory, spooky and silly indie feature and short films. The Toronto After Dark Film Festival returns this year for its 10th anniversary. 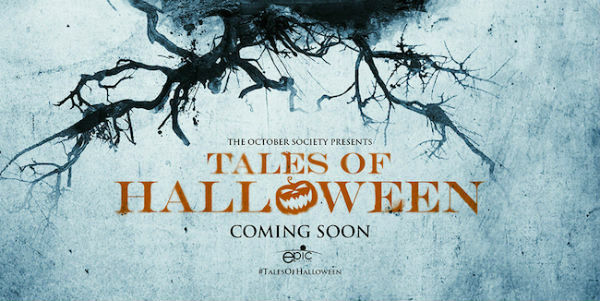 Opening night set the scene for this year’s event by kicking off with the anthology film Tales of Halloween. A group of horror film directors, many of them TAD alumni, came together to create 10 short films that all take place in the same town on Halloween night. 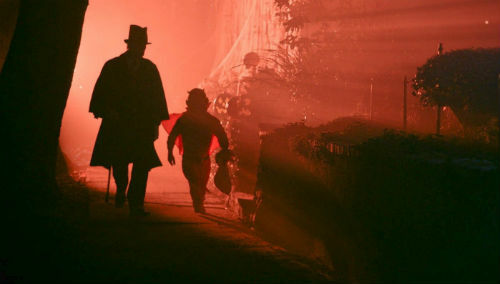 The current popularity of this type of compilation horror film about Halloween night really began with 2007’s Trick ‘r Treat. That film found great success in the home video market after several years of delays and hit big with fans of the genre. Filmmakers are now coming along trying to replicate that accomplishment with their own anthology films, with Tales being the latest. While this was an entertaining horror-comedy at times, it pales in comparison to its predecessor, with each short film having varying degrees of success. 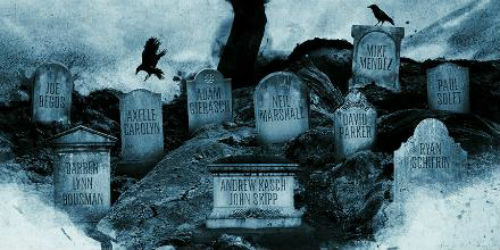 The directors all pull in favours and assemble a great cast of horror genre actors and famous faces for cameos, including Heroes star Greg Grunberg, Lin Shaye, most recently known for her role in the Insidious films, Being Human’s Sam Witwer, Kier Gilchrist, Adrienne Barbeau, Barbara Crampton, John Landis, and many others. It was great seeing all of these talented actors coming together for a project like this, and they all try to deliver the best possible performances but in the end are victim to subpar writing and direction. Shaye and Witwer are favorites of mine so I enjoyed both of their roles in the film (although hers was brief) and I think his was one of the stronger stories in the film. He was humourous as a bumbling guy trying to kidnap a millionaire’s son. There are some interesting and fun “kills” and a decent sense of humour good for a few laughs. The film might be worth a re-watch in order to pick up on the connections between the stories, as several characters appear multiple times, but that’s only if maybe if I was in the mood for a tame horror-comedy to just set the general Halloween season mood. On paper this is the perfect festival opener – 10 short stories for 10 years of TAD, and many of the directors have screened works at the festival before.I agree with Jason though that Tales fell into the trap that many anthologies are unfortunately susceptible to, of being uneven in quality and theme. On the whole I enjoyed it, but some of the shorts were so much better than others that it made the poorer showings that much more obvious. 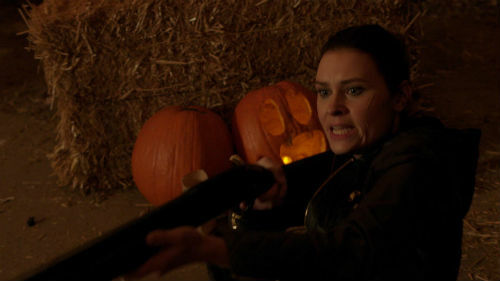 The kidnapping story was hands-down the best (Sam Witwer was a stand-out), and This Means War (an escalating battle over Halloween decorations) had me chuckling. Judging by reactions from the audience, the slasher/alien mashup was a crowd favourite too, for its over-the-top gore. The complete down-note though was the Hansel and Gretel story – it was incomprehensibly confusing, and no one that I spoke with or overheard ‘got it”. And Billy’s story about Halloween pranks was too goofy to really sit well with the rest of the theme. Overall I enjoyed Tales well enough. I think of this film as being the perfect background movie for a Halloween party, with just enough creepiness and comedy to appeal to a general audience. My final judgement is that I would like to see a sequel to Tales, with a little bit more over-all direction.